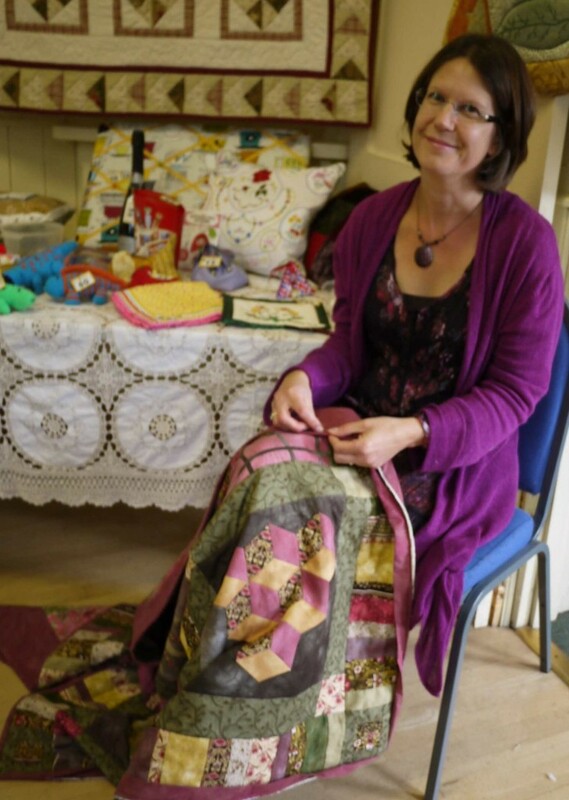 We put on regular exhibitions in the hall where we meet. 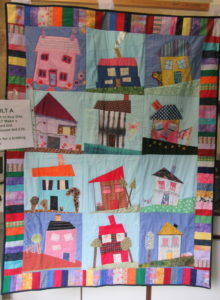 These showcase our recent work, and raise money for a charity we care about. These events are well-attended, and great fun. 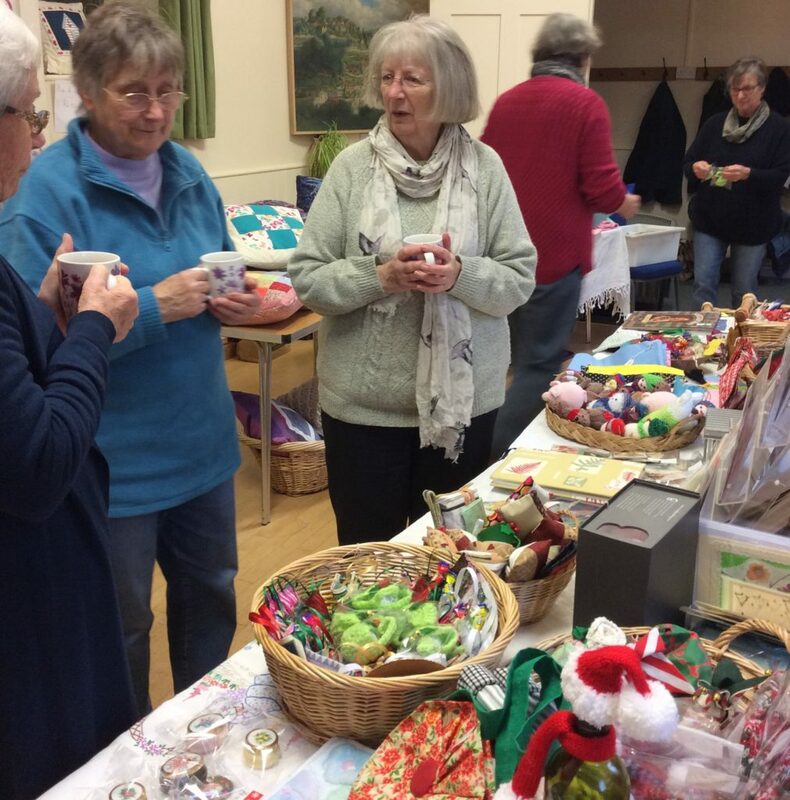 We usually have a tombola with items we have made ourselves, a sale table, and cakes and teas. 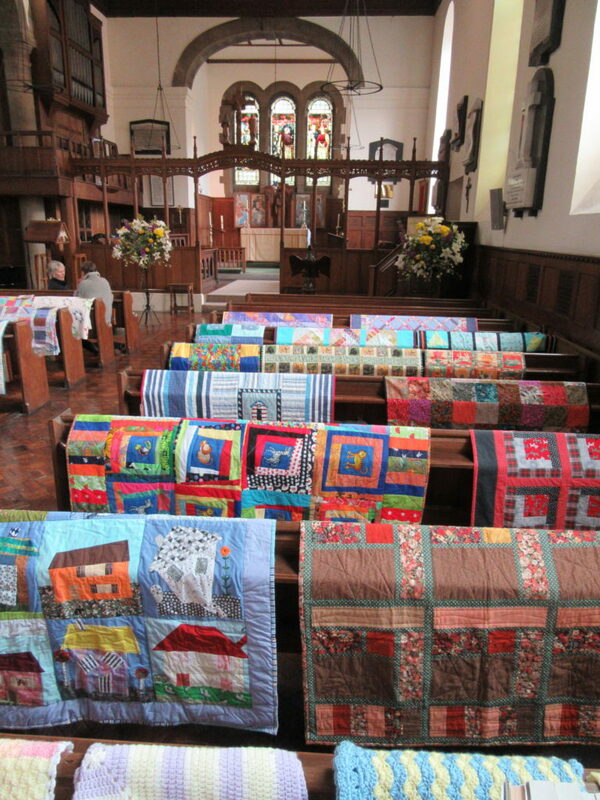 Recently we have also exhibited in the church next door, where we displayed quilts and blankets we have made for the Women’s Refuge. 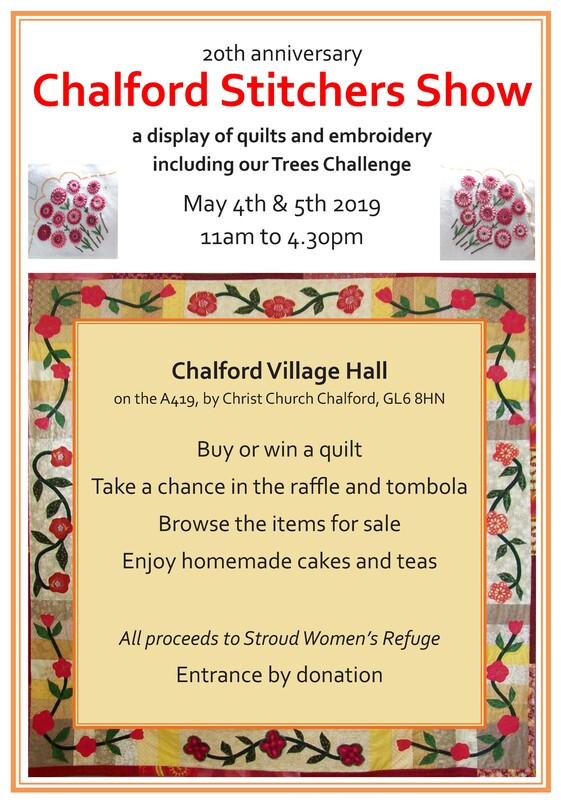 Our next exhibition is on May 4th and 5th 2019.